January 25, 2019 3:18 pm. The Class 2 Yuen Long Handicap (1200m) at Sha Tin on Sunday (27 January) could give a glimpse into the future of Hong Kong’s elite sprint division if trainer Danny Shum’s faith in the unbeaten Regency Legend is not misplaced. 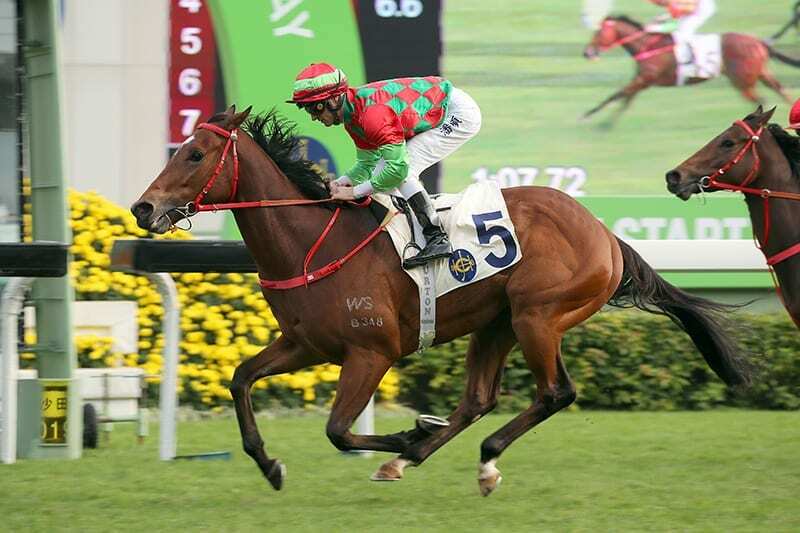 Shum sent Little Bridge to Royal Ascot in the summer of 2012 and carried off the G1 King’s Stand Stakes trophy. And, after Regency Legend quickened away from talented Class 2 rivals last start, the handler made mention of next December’s G1 LONGINES Hong Kong Sprint for his latest emerging talent. “Let’s just take it one race at a time,” was jockey Zac Purton’s circumspect advice at Sha Tin this morning, Friday, 25 January. “He’s lightly-framed and he doesn’t have the attitude to be a top horse at the moment, so he’s going to have to wrap his head around that. But Danny thinks he’s pretty good, so let’s hope Danny’s right. Purton acknowledged, though, that the three-year-old has shown exciting potential in his two Hong Kong runs. Those wins come off the back of an eye-catching two wins from three starts in New Zealand, his one defeat being a runner-up finish in a Group 2 contest. Regency Legend will face rising dirt track star Ugly Warrior in the fascinating eight-runner contest. Me Tusi’s four-year-old has raced exclusively on the all-weather track for five wins from seven races, so it remains to be seen whether Sunday’s turf test will prove to be problematic. “I’m the same as everybody – no clue! I haven’t tried him on the turf so we’ll see how he goes. His trials, gallops and races have all been on the dirt,” jockey Vincent Ho said. Sunday’s 10-race card features the Four-Year-Old Classic Series first leg, the Hong Kong Classic Mile, as well as the Group 3 Centenary Vase Handicap (1800m), the latter featuring G1 winners Glorious Forever, Exultant and Time Warp.